Exfoliation is a necessity in any facial skincare routine, but with so many options to choose from it can be slightly daunting. 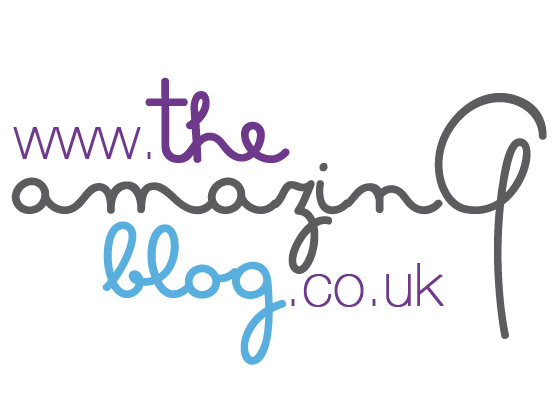 We at The Amazing Blog are here to share some of our favourite methods. No doubt you'll be left with a glowing, baby-soft, smooth face; the perfect canvas for makeup to glide over. We started off with the first of our handy helpers, The Konjac Facial Puff Sponge. Made with 100% natural products this palm-sized sponge is the answer to all of your exfoliation prayers. The Konjac Sponge Co. graciously sent us two of their signature sponges: the Bamboo Charcoal Konjac Facial Puff Sponge and the Chamomile Konjac Facial Puff Sponge. Each with specific healing properties, both of these sponges will balance your skin’s pH levels while gently exfoliating and deeply cleansing your skin. They stimulate blood circulation and cell turnover, so you'll be left with supple and vibrant skin. The best part is it is safe to use on your eye area and is entirely suitable for sensitive skin. The Bamboo Charcoal Sponge is specifically designed for oily and spot prone skin. The activated charcoal in this sponge works to eliminate excess oils, clear blackheads and kill acne-causing bacteria. This sponge even removes water-based make-up. The Chamomile Sponge is ideal for those with hypersensitive skin. The Chamomile is hypoallergenic and calms the skin while purifying, soothing, and plumping the skin. All of their sponges are vegan, animal cruelty-free and made with 100% natural materials. 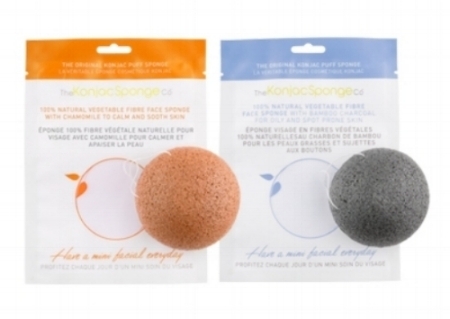 These sponges are the original Konjac Sponges and are multi award winning. Purchase The Konjac Bamboo Charcoal Facial Puff Sponge here for £8.99 and the Konjac Camomile Facial Puff Sponge here for £8.99. Our next little wonder product is the Exfolia Microexfoliation Beauty Cloth. This cloth is safe to use for all ages and on all skin types and will, in a few minutes, leave your skin feeling smoother and looking radiant. Made without any chemicals or additives, the hypoallergenic cloth removes the dead skin cells from the skin’s surface. This allows following serums and moisturisers to soak deeper into the skin and work more efficiently. This cloth is very soft to the touch and is gentle enough to use on baby skin. The Exfolia Beauty Cloth aids in repairing sun damage through skin regeneration and increases the elasticity of the skin for younger looking and healthier skin. This beauty cloth is washable and reusable and can be used 60-80 times before it needs to be replaced. To use just run under warm water and use with your facial cleanser for softer, cleaner and more radiant looking skin. It is our ideal product for a quick face wash in the morning. Purchase your own Exfolia Microexfoliation Beauty Cloth here for £10.35. Next up, we have one of our favourite exfoliation cleansers, Caudalie Deep Cleansing Exfoliator. This creamy cleanser is perfect for all skin types but works particularly well for oily and combination skin. This cleanser is formulated with 97% all natural products and is filled with micro-grains, derived from corn, to gently scrub away dead skin cells without being too abrasive or irritating. Infused with grapefruit, mint and sweet orange to give the skin a burst of freshness and clarity while exfoliating, you will feel rejuvenated and refreshed. Caudalie recommends only using this cleanser 1-2 times a week for a truly deep clean. When using the product, wet your face and neck with water before gently working the cleanser into your skin. As it scrubs away the skin’s impurities, the fresh scent of citrus and mint awaken your senses, transporting you to your own little spa in the comfort of your home. Purchase the Caudalie Deep Cleansing Exfoliator here for £20.00. Our final exfoliator is a chemical exfoliant, but don't let the word 'chemical' scare you. Chemical exfoliants are a staple in any skincare guru's stash, and we never skip this in our routine. Murad's AHA/BHA Exfoliating Cleanser contains Salicylic, Lactic and Glycolic acids which work to dissolve dead skin cells that are just sitting on the skin's surface. The result is skin clarity, brightness and improved cell turnover, unveiling a radiant complexion. This cleanser also incorporates physical exfoliants, and the Jojoba Beads gently polish, exfoliate and nourish the skin. A weekly beauty rendezvous with Murad’s exfoliating cleanser will result in unblemished smooth skin, making common issues like pores and uneven skin tone history. Murad is a pioneer in chemical exfoliants and was actually the first brand to use Alpha Hydroxy Acids (AHAs) in topical skincare, and this little gem is still one of the best. Purchase Murad’s award winning exfoliating cleanser is here for £34 with free UK delivery. We hope we've inspired you to get on the exfoliating bandwagon, or perhaps inspired you exfoliating experts for your next venture. If you haven't been able to tell, we are very into exfoliating and this concoction of methods keeps our complexions smooth and radiant.